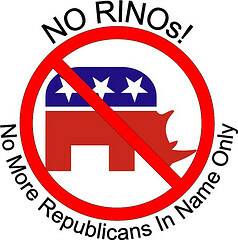 Just another RINO who wants open borders. Former Florida Governor Jeb Bush, a staunch supporter of “comprehensive immigration reform,” urged Republicans on Monday to stop being “the obstacle” to immigration reform. There is no evidence that passing immigration reform will make Asians and Hispanics who voted for Democrats more likely to become Republicans, especially since the bill would hurt working class Asians and Hispanics by flooding the labor pool and lowering their wages. According to the Congressional Budget Office, the Senate’s immigration bill would lower wages, increase unemployment, and not solve the illegal immigration problem.